Belarus may seem like an outsider among the other European countries, but those who are patient enough to learn more about this former Soviet Union member will find that its intrinsic beauty is something that deserves more than just appreciation. To make life easier for expats moving to Belarus, it will be useful to have sufficient knowledge of the Belarusian language as well as the Cyrillic alphabet as locals will more likely speak in their mother tongue than English. Belarus is a country in Eastern Europe that has no sea coast. There are currently around 9 and a half million people living in Belarus. Belarus was a part of the old Soviet Union before it collapsed in 1991, and it had been part of the Russian Empire before that. 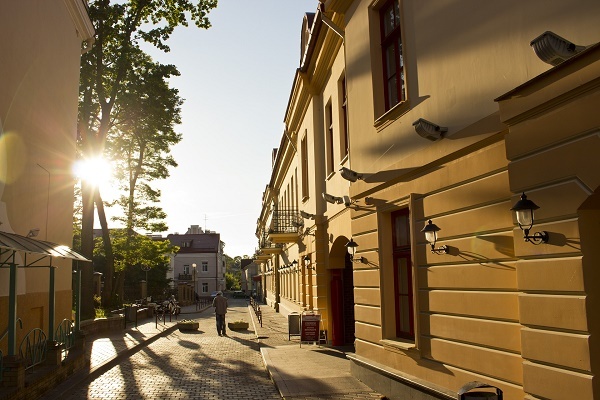 Belarus is an interesting Eastern European country with a lot to offer for expats. Learn more about it through the information below. Belarus is considered to be an expensive country to live in. Even if you already have a job waiting, there are other factors that you need to be prepared for to make sure that you will be able to survive the first few months of relocation. From packing your bags to the moment you arrive in Belarus, everything has to be well planned. Let’s start with the basics: Passport, permits and certificates. Make sure that all your documents are up to date. Belarusian Embassy requires your passport to be valid for up to 90 days and has at least two blank pages. If you are planning to bring your pet with you, the animal’s Veterinary Certificate (issued at least ten days before arrival) is needed before it is cleared for entry. Next is to check your housing options in the country. You can do your research or better yet, contact several house rental services in Belarus. They provide both short term and long term options depending on your needs and financial flexibility. Most of the apartments are situated in the city capital, Minsk where the cost of rent starts at USD 200 to USD 400 per month. You can ask your housing services consultant about neighbouring districts for further choices. No matter how organised you are, the thought of relocating to a different country can sometimes be distracting. The least that you want to worry about when you get there is leaving valuable items behind. Check your belongings and decide which ones are for disposal and which ones you can still bring with you. There are moving services in Belarus that can help you every step of the way. Having experts in relocation helping you out is very reassuring. From helping you pack, to loading your belongings, up until the shipping and safe arrival of your package, they will be there to assist you. The regular shipping time ranges between 3 to 8 days, depending on your country of origin. Belarus is a landlocked country, so containers need to be re-routed first to neighbouring ports of Klaipeda in Lithuania or Riga in Latvia. Once the shipment arrives, the inland haulage going to Minsk normally ranges between 1-2 business days. Belarus customs conduct a further inspection before they clear the containers for delivery to the warehouse where it will be unloaded. Keep a list of the contact numbers of the companies that will provide you with the housing and moving services. Always remain in touch with them so you can stick to your relocation schedule. You will be surprised at how fast the transition is once you get there. Officially called the Republic of Belarus, Belarus is a country in Eastern Europe that is bordered by Russia, Ukraine, Poland, and Latvia. The country features a vast landscape, 12th to 17th-century architecture and scenic villages. The country is also home to the Zoobr or European Bison, which is Europe’s largest mammal. Isolated and clean, those looking for work in the country will find Belarus an attractive location to work and live in. Belarus is not a very attractive destination for foreign nationals looking to find work, mostly because there is very limited opportunity for them, and the income is not as rewarding compared to other European countries. Although the economy of Belarus has experienced a substantial growth in the last few years, it largely remains to be state-run, and the use of finances and human resources are said to be inadequate. In 2011, Belarus was ranked 62nd out of 183 countries by the International Monetary Fund when it comes to Gross Domestic Product (GDP) per capita. The country’s major sectors that contribute to the economic growth include trade, services, and industrial sector – which also employs most of the Belarusian population. The total number of the labour force in Belarus is approximately 4.6 million, 52.5% of which are women. 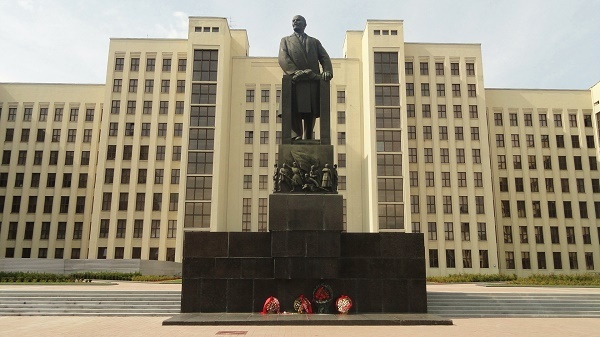 The international community of Belarus is centered on the capital city of Minsk and consists of diplomats, expat students, foreign language instructors, missionaries and some volunteers. Foreign nationals who wish to work in Belarus must first acquire a work permit. The only foreigners exempted from this rule are the Russians, who do not require a visa and work permit to live and find a job in Belarus. 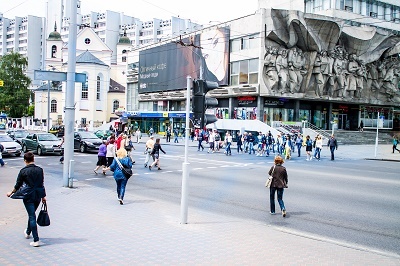 The prospective employer of the expat should be the one to apply for the work permit with the local Belarusian authorities. The entire process takes approximately two to three weeks. Once the work permit is acquired, the foreign national is required to apply next for a work visa that is valid for 90 days. In case, the work contract of the foreign national is longer than three months, he/she would have to get a temporary residence permit from the Immigration to stay longer in Belarus. It should also be noted that there is a limit on the number of foreign workers a Belarusian company can employ. The Belarusian language is similar to Russian, and indeed the name can mean White Rus. Most of the population are Russian Orthodox Christian adherents. Despite the fall of Communism, the government of Belarus is still considered by many observers to be a dictatorship, and popular elections have been regarded as a sham resulting in the arrest of the opposition candidates. There have also been steps taken in the direction of Belarus joining with Russia once again, but these have stalled in the past few years. The economy of Belarus remains controlled by the state. Around one-fourth of those with jobs in Belarus work in a factory. Another large employment sector is in agriculture. The unemployment rate in Belarus is only 1.5 percent. The national currency is the Belarusian Ruble. Despite some immigration, the population has been decreasing overall from year to year because of the very small number of births, and there are only 88 men for every 100 women in Belarus. Most foreigners in Belarus, other than those from neighbouring Poland or Russia, are from other former Soviet republics, particularly Armenia and Georgia. The general working hours in Belarus is forty hours per week or eight hours a day. The majority of the offices and businesses in Belarus start at 9AM and end at 6PM. The primary leave entitled to workers cannot be less than 24 calendar days while new mothers are given 126 days paid maternity leave.